Intensely yellow in colour with the pungent fragrance of newly gathered lemons. Well-rounded and harmonious, with a pleasant sensation of aromatic freshness on the palate. Obtained from the infusion of lemon peels in alcohol, Limoncello is one of the most world-renowned Italian liqueurs. It stems from an ancient tradition which enhances the natural aroma and fresh taste of lemons from southern Italy. 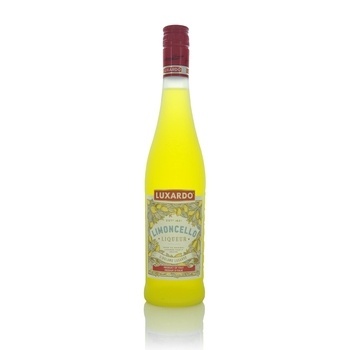 Serve Limoncello Luxardo at room temperature or cold as a "digestivo" drink, or watered down as an aperitif. On the rocks, it is an unbeatable "digestivo". With the addition of tonic water, it is a pleasant thirst-quencher. Excellent with champagne or sparkling wine for preparing long-drinks. Very pleasant on ice-creams, fruit salad or strawberries.